Opossums live in many parts of urban and suburban areas in New York State. Often they take up residence in homes, window wells, enclosed porches, garages and sheds. Anywhere they can find seclusion is where they will go to nest. Sometimes they can be found sleeping in garbage cans if the lids are not securely fasten. Activity - Opossums are nocturnal and can be seen moving about year round. During extremely cold weather however, when temperatures are below 20 degrees they have been known to remain in their dens. Also it is not uncommon for them to use multiple dens especially if they are around good food sources. Most people usually see one opossum, this is because they are solitary animals. 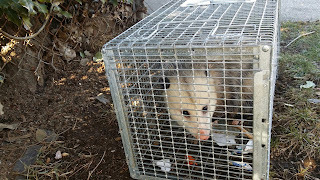 Damage to Structures - Damage to structures are not usually associated with opossums. Most times they take over a den that has been abandoned by another animal. Most calls that Pest Control Professionals, or Wildlife Control Operators receive are from home owners who left a door open to their garages or sheds. If garages and sheds has lots of clutter, open or broken doors and windows, its an ideal nesting site. Opossums aren't too picky when it comes to food. They will eat table food, birdseed, grapes and corn. They will raid poultry barns, attacking birds which will look mauled with intestines ripped out. 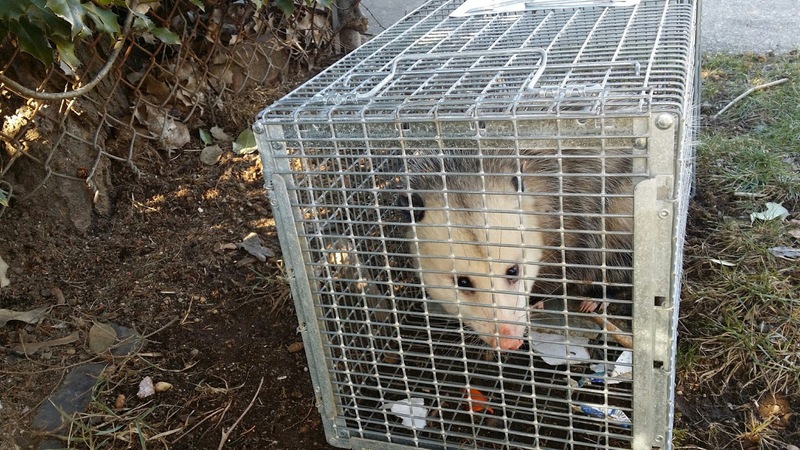 Who To Call - If you suspect a opossum, or any wildlife in your home or property don't go near it. Keep children and pets away from them since they can carry rabies and will attack if threaten. Call a Wildlife Control Operator or Pest Control Professional since they are trained and have the equipment to handle wildlife.